I would like to see you ... for life consultation. Lots of things happening recently. A bit of transition happening for me not sure you can ... connect with me. Need some help with my life right now. You might consider starting by writing down a list of things you would like to change - and then we can go from there. I read on your website that you are available for private consulting over the phone for 1K/Hour. I'm specifically interested in learning about money management when trading. I am trading the forex market, and I am running 5 strategies. Due to my risk-averseness, I'm not exactly throwing thousands of dollars into each strategy, which in turn, isn't really gaining much capital. My overall goal of this conversation would be to learn money management from an expert, as much as I can from our hour conversation. I had a professor who told me to never read a book to learn something, just talk to an expert, and in 10 - 15 min, they will tell you more than you ever wanted to know. Thanks, and I hope you consider my proposal. If you want to learn some principles of trading, you can send questions here to FAQ for free. I generally conduct private consulting in person, in a five-hour session, over two days - so I can get to know you - and then work with you to help you align your personal psychology with proper trading practices. This is my first post at Trading Tribe so I would like to congratulate you on all of your success in extracting significant profits out of the market over such a long period of time. Also a great thank you because despite such success you still freely offer help and assistance to fledgling traders such as myself via the FAQ. After reading many of the recommended books and pouring over all of the FAQ dating back to 2003, TT Charts plus my own chart and market cycle observations it is very obvious that extracting profits from the market (stocks) is an extremely tough game at the right hand side of the chart. Of course with hindsight it is very easy to have identified the trend / direction and all of the significant price moves appear easy and straightforward. It also goes without saying that the shorter time frame is even more difficult by a large factor so it is simply in the too hard basket for me and my abilities. So I'm therefore left with the long term time frame in which to trade and attempt to extract profits from the market (stocks). In order to determine the trend / direction I've used many different LT moving averages starting from the typical 200 dma up to 350 dma and compared their smoothing movement against the stocks which have demonstrated significant historical price movements (long). As mentioned previously I have concentrated on these interactions at the right hand side of the chart at the key point at the beginning / early stage of the subsequent upward price movements when the moving average first starts to show signs of turning upwards after a prolonged period of going downward or sideways. At this key point the trend / direction identifier (LT DMA) has to be trusted and believed in with a position taken in the hope that the trend / direction will persist enabling a profit to be achieved. So at this point I'm probably asking for a bit a reassurance as to whether my trend / direction identifier method is reasonably sound and whether I'm looking at this in the right way. Any suggestions you can make will be appreciated. For quite a while now, many trend indicators register stock indices as "trending up." I don't see much difference between the various trend indicators (of similar time constant). I do see a substantial difference between traders who go with the trend and those who try to outguess it. I'm sure you here this often, but you are my hero. Not only are you massively successful at trading, but you seem to have chosen your own path, lead with the conviction of your values and principals and shared this gift with others. I am one of the youngest VPs in history at a [high-power firm]. I've been named an industry rising star twice in the past decade. I oversee predictive analytics and forecasting, corporate strategy and consumer and product research. This is a role I aimed for over 10 years and attained with a burning desire and focused effort. The exact role didn't even exist. I just knew I could contribute the most to changing the business through my unique strengths. I earned a masters from [University and Other University] while working full time and building our wonderful family. I applied analytical methods never used before in our industry to cut forecast errors from double digit to less than 3%, and have literally changed the shape of future [products] by uncovering statistical drivers of revenue.. So what does that have to do with you, TT or anything else of interest to you? Mr. Seykota, I am a trader. I was first exposed to investment analysis during my MBA. Where, as misguided as I was, I almost went to work for [Financial Firm], having been advised that I had to pay my dues in investment banking before I could ever hope to manage money. The traditional route many of us are sent down. Which, is strange, since much of the extroverted Tribal personality type needed for I-Banking success is a terrible fit for successful trading. At the last minute, I realized I couldn't do that to my wife, and I couldn't do it before I achieved my childhood dream ... Again, it was [Financial Firm] in 2007. Thank goodness for divine intervention. I did manage [childhood dream]. Then I updated my goal to an executive role like the one I have occupied for the past five years. Since then, I've actively traded and managed what's become just under $1M of my family's assets. I wrote my thesis on utilizing machine learning to predict the movement of the S&P 500, and have become a trend trading system trader with strong risk management and a combination of concepts in constantly researching and validating using software. Now that I've become an executive, almost none of my time is spent solving problems myself or using analytics to achieve real results. I'm negotiating, meeting and politicking everyday. I'm seen as good at my job, but truth be told, I am a fish out of water. My challenge is that I currently live and work close to Wall Street. It is a daily magnet pulling at my heart. The trouble is, I work insane hours in my day job, then come home late and work on trading until the early morning hours. My trading focus is heavily slowed down because I am working two very demanding jobs. I've always had to be exceptional at all I've endeavored at in life. From winning a gold medal in martial arts as a youth to constantly achieving what most believe is impossible. And, I truly believe I have the psychology and skills to be a successful trader. What's more, I want it so bad I can taste it. It's my obsession. My plan had been to complete my trading system research evenings and string together 6 months of impressive profits before going out and securing a job on Wall Street to gain a mentor and further experience before starting my own fund. I believe in Napoleon Hill's teachings to 'burn your ships.' But I have a family of 5 and before I walk away from a job where I make over [amount] a year, I want to be sure I prove to myself that have a system I can rely on. It's always about risk management. I was wondering if you would have any time to meet with me. I know so many ask for your time. I wonder if there's anything I can bring to you from Wall Street, where you've successfully extracted so much value over the years, as a keepsake? Perhaps even a junior's cheesecake? I'll be in Nor Cal June 3 and would drive anywhere you would be willing to meet me. I'm not looking for trading secrets. I'm just hoping to meet the man who achieved the career I aspire to. And, hopefully learn anything I can from you as I travel down this path of achieving my definite chief aim. I currently reside in Austin, Texas, a bit of a hike from Northern California. I see no need for you to forsake your job or otherwise put yourself and family at financial risk. The burning-boats idea works pretty well if you view your soldiers as expendable and want to warm their back sides to keep them moving forward. If you burn your own boat you may bring pressure on yourself to try for quick results rather than wait for the market to develop a trend. Greetings .. to you and your family.. Thanks for all the inspiration you give us .. Thank you for acknowledging me and for sending me the link to the testimonials for the Law of Attraction. Last night, the City of London Tribe held its regular monthly meeting. The meeting is a great success with many new insights and untied k-nots. In particular, the first member on the hot seat was able to go through the process and complete forms with very little input from the process manager. The tribe does a great job at relentlessly validating the sender, who is able to stay present with his forms and feelings with ease. My experience on the hot seat was also quite interesting this time. I spend about 30 mins really enjoying all of my forms and having a good time. I say that I might as well stop and give someone else an opportunity on the hot seat. The PM encourages me to continue. I say that I don't want to because I don't want to have too much fun in front of people or at someone else's expense. I then explore the feeling of having too much fun. I recall vague childhood memories of situations where others didn't seem to like it when I was having lots of fun. A Tribe member asks if I can recall who I don't like to have too much fun around. I think of my cousin. My Tribe experiences keep coming back to my cousin lately. I go through my familiar forms of pounding fist against floor when I think of him. I feel that we have no connection despite growing up together. I keep going through forms and eventually sort of come at peace. I decide that I should invite him down to London for a weekend. I decide that I do not want to continue and stop. When off the hot seat I notice a feeling I do not like. I also notice that I don't really want my cousin to come over. I am glad to hear that you may be considering a Workshop this year. Please count me in. I can do Europe or the US. I would be happy to assist you in choosing a location / planning the workshop in the UK should you plan on hosting a workshop in this country. You might consider identifying the feelings you have trouble sharing with your cousin. I had my third TTP session yesterday evening. Each experience has been different. I took the feeling of not being able to separate my process from my results. My results have been tied to the identify I give myself. Letting go of the results has meant letting go of my identity. A mentor has directed me to focus more on the process, I have found this difficult to do. I have found the process to be boring. The results are far more attractive. Last night I felt a breakthrough. I became the process and enjoyed the feelings of experiencing the process. I enjoyed the feeling of structure it gave me. The focus on the results seems to have left me. As I write this I feel more present when feeling the process. I enjoy this feeling. Thank you for sharing your process and your results. I appreciate your insight and your history of building your own tests in Covel’s podcast. Is this a recent interview? I rarely track the peregrinations of things I say or write. I do not know to which interview you refer. I do not know what you consider "recent." Putting all this together, I might temporalize the podcast as "fairly recent." If you happen to discover more about it and come to consider it somewhat earlier or later, please let me know in a timely fashion. Being an engineer by background, how did you amass such a vast knowledge of psychology? Were there any specific books that got you started you could share? Thank you for acknowledging me and the work and for raising this issue. I like to build models of dynamic systems that show how the structure of a system (the intention) generates the behavior (results). This rigorous part involves identifying the rates and the levels and their specific interconnections - and then simulating the system behavior to verify it generates the symptom set. You can see one such model in my work on Radial Momentum - and others in the Eco-Now-Mics section of this site. See Resources, above. You can see another model in the "Cartography of the Mind" section of TTP Extensions. (Available as a pamphlet in my store, or free by download). Also, my work with this site and with Workshop participants gives me access to a stream of interesting situations - that keep me thinking about how things work. You are a genius. You are absolutely right about your guess "I might guess you wish to deal with your feelings of uncertainty by gathering more and more, and possibly irrelevant, data by asking ambiguous questions". I have driven people crazy by asking such questions before. I tried to fully experience the feelings of uncertainty associated with trading. I used feeling release exercises (handling emotionally charged believes). I am also trying to find a Tribe, as it works well in a Tribe. I wanted to let you know my situation. I am trying to develop a trend following trading robot, and back test It. (The support and resistance system in your website). I have a strong feeling about I can increase the reliability of the trading robot by looking at the other market indicators such as momentum, volume, volatility. I am feeling a bit uneasy, if I don't include these market indicators in my analysis, I am not optimizing my trading robot for heat, volatility, performance and bliss. I just don't know how to combine all of these into one system. I am feeling so confused. I have also seen your quote "Systems trading is ultimately discretionary. The manager still has to decide how much risk to accept, which markets to play." I am just curious to know how do you decide which market to play. I am trying to figure out which markets I am going to use my trading robot. I had a strong intuitive feeling if I include market indicators such as momentum, volume, and volatility, the system itself will give me the answer to that question. Thanks for your trading equity simulation in your book, Govopoly. It started to make sense how important it is "to increase and decrease the trading base as a function of equity change", after studying the graphs. Thank you again Chief Ed for taking time to read my email. You might consider taking your feelings about <uncertainty> to Tribe as an entry point. If you have a judgment about uncertainty, say from a Rock from your parents, then you might find yourself (1) trying to "release" your feelings of anxiety (futile) and (2) acting out uncertainty drama in the markets (expensive). Tribe might assist you in embracing uncertainty rather than trying to cure it. At that point, you might come to see things rather differently. Of course, at this point, we certainly can or cannot develop much (un) certainty about that, or can we. It’s [Me] again. I would like to know if there are certain books you recommend I read or articles related to trend following. There is so much information out there but I feel most of them are written by people who just want to make money through teaching and not trading. You might consider reading charts on a regular basis to develop a gut feel for the kinds of moves they make. You might also consider developing some skill with computer programming, maybe start with Excel and later Basic or C# - to facilitate back testing. 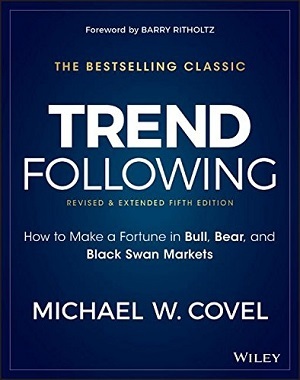 You might also consider reading Mike Covel's latest revision of Trend Following (Fifth Edition) - and other books that present interviews with successful traders. I wrote in before and I have read the recent postings on the FAQs. A handful of people are asking if you will be conducting any TTP Workshop and there is a request to have the TTP workshop to be conducted in Europe. If there will to be the TTP workshop in Europe or in US, I'd make the necessary arrangement to fly over there. I'm from Singapore by the way. Have been putting into practice of what I've learnt from "The Trading Tribe", and of course I would like to experience the TTP workshop first hand. Hope to hear from you soon, Sir! Thank you for extending this discussion. I plan to offer Workshops in the US and in Europe, to take place, say, in September and October. If I get to critical mass (about a dozen applications per Workshop) I can go ahead with it. "These examples show that, in the absence of effective legal tender laws, Gresham's Law works in reverse. If given the choice of what money to accept, people will transact with money they believe to be of highest long-term value. However, if not given the choice, and required to accept all money, good and bad, they will tend to keep the money of greater perceived value in their possession, and pass on the bad money to someone else. In short, in the absence of legal tender laws, the seller will not accept anything but money of certain value (good money), while the existence of legal tender laws will cause the buyer to offer only money with the lowest commodity value (bad money) as the creditor must accept such money at face value." In my book, Govopoly, I assert that in the 39th day, the government acts to strengthen most all laws, including legal tender laws. Since the reverse-Gresham argument rests on the premise of "absence of effective legal tender laws" I expect the reverse-Gresham principle [Adolphe Thiers' Law] to reflect events much later in the cycle, during the chaotic phase, in which faith in national currency declines. I wonder if a reverse Gresham's law is possible? AUSTIN, Texas (May 5, 2017) – Yesterday, the Texas House unanimously passed a bill that would facilitate the establishment and operation of the Texas Bullion Depository; helping to undermine the Federal Reserve’s monopoly on money. Rep. Giovanni Capriglione (R-Keller) introduced House Bill 3169 (HB3169) in March. The legislation includes various provisions for the operation and administration of the Texas Bullion Depository, to define the roles of depository agents, to direct the appropriation of money from depository fees, charges, penalties, and other amounts related to the depository. The bill also includes provisions to exempt precious metals in the depository from property taxes. Passage of the bill would represent a major step forward in the process of establishing the Texas Bullion Depository and in facilitating sound money in Texas. Prior to 1913 and the creation of the Federal Reserve System and the Federal Income Tax System, the US has a system of independent banks that can issue their own currencies.. These independent banks carry more or less gold in their vaults, as they see fit, and some thrive and others fail. This system attends an era of extreme capital formation in the US. After 1913, the Federal Government consolidates the banking function and discourages independent banking in a number of ways, including enacting a requirement for payment of Federal income taxes with Federal Reserve Notes. The Texas initiative towards a return to independent banking represents reversion to a pre-FED banking system. Extrapolating from my thesis in Govopoly, I might expect to see various forms of resistance to this reversion, some subtle and some not so subtle. Other intentions might exist between the two participants. To verify the demonstration, you might consider running it with someone with whom you have no financial or commercial connection. I write as I am thinking of you. It is great seeing your recent updates to FAQ after a delay. I trust you are reinvigorated. I write to thank you for FAQ, TTP, Austin Tribe, PR Tribe and many other. My words fall short of the gratitude I feel towards you. You helped me get in touch with a personal limit. Unwilling to "give that up" at the time and move beyond it came with a cost. Taking it to the hot seat rather than taking it out on you, or life would have been much easier. I consciously knew this was really about my personal sovereignty. I thought that forfeiting "defiance", was forfeiting sovereignty. On your Sun, 14, Dec 2003 FAQ posting, I read, ""Intention" and "Result" are both concepts, existing as properties of mind." I know "defiance" and "God" are also concepts existing as properties of the mind. Fred took more time understanding this - at least with deep seated beliefs. My words fall short of explaining that once Fred understood this, both dissolved into a formless feeling that I have no name for at this time. I feel a newfound sense of lightness and freedom as I write these words. Perhaps a top lesson of my life is, I don't have to figure it all out. I am happy to say, "I don't know and I am willing to find out. That's where the excitement is for me." 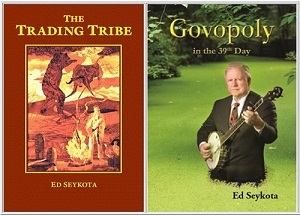 Hi Ed, I loved your Trading Tribe book. I use its principles every day. I reached out to [Name] and we may be getting a Tribe back together in [City] soon. Thanks for sharing your continued knowledge with the investing community! Last year when I visit you, you share with me several of your own processes. I remember later you reach the realization to be aware of loving self and take care of yourself. It also inspires me to take greater care of my health and be more disciplined on diet and workout. I’m wondering how is your soul searching going since then? I feel a little tight, stuffy feeling in my left chest, A little fear that you might give up, since you are still young actually, hoping that you are happy with someone now. Thank you for expressing your concerns. My Tribe leader said you might give a workshop later in the year in Europe. I would like to express my interest in attending. Hi Ed, I notice your mirror sites are stuck in the past while the original Go Daddy site updates in the moment of now. Is there an opportunity for an arbitrage? I'm thinking of some question to ask you about trading but whenever I think of something my mind gives me an answer. I notice the downtrend in your site in 2017, now you publish links with FAQ per month only. It may seem the frequent readers of your FAQ run out of questions and don't seem to share the process that often anymore. What's the positive intention of such downtrend? Thank you for sharing your process - and for catching the lag in updating the mirror site. Ed's ultimate intention for The Trading Tribe and for TTP includes encouraging people to experience it, and then for it to disappear as another passing AHA. I feel great joy that you update FAQs again. I feel concern for your well being when it does not update for a while this year. I follow FAQ for many years and read every post since inception with great joy and excitement. I google your name in the news fearing the worst. Your absence online presents an opportunity for me to explore my feelings towards you. I feel a strong desire to share them with you. I feel immense gratitude to you for your impact on my life. I read many things and seek wisdom for many years, but no one has an influence on me like you. During this time, I discover your work and it brings me out of a deep depression and fills me with hope, determination, and a desire to take responsibility for what I want. I attend a Workshop, then later move from Texas to S Lake Tahoe to join the Incline Village Tribe as a catalyst towards my goal of launching a trend following fund and finding right livelihood. I achieve my dreams of launching a fund in 2007. I achieve my dreams of finding right livelihood and marry my wife of 9 years in 2008. We have two kids, (7) and (4). I make a difficult decision to close down the fund in 2013, having met my uncle point with drawdowns the main culprit. I feel satisfaction that all of my investors are profitable, but sad that it ends in a drawdown. I choose to focus on my full efforts on my other career at [Firm]. A well publicized demise starts shortly thereafter, ending with my layoff 2 months ago after almost 10 years at the firm. I go through many emotions - anger, sadness, but mostly I feel free and excitement to move forward. For the last several months, I carry around Govopoly with me, thinking about your models and how to protect my family and prosper in the times we live in. Very recently, my wife and I decide to sell our house and move to Southern California and rent a house. We feel uncertainty and excitement about the move. The positives far outweigh the negatives in our decision making process. I think and consult my feelings for many weeks since the layoff. At first, I feel a great deal of uncertainty on what to do. I want to provide for my family, contribute to others and find right livelihood. I feel a strong desire to return to the managed futures industry with a goal of helping others protect and grow their wealth and family in the times of 39th day that we live in. I feel uncertainty on how to proceed from here. Writing to you fulfills my greatest urgency right now. I miss the Tribe and longing for your wisdom before I start the next chapter in my life. Start a blog and podcast interviewing systematic traders I admire, freedom and wisdom I gained from your work, along with thriving in the 39th day. Possibly, I offer consulting services and courses. I feel a strong desire to have location independence. I feel very wary of starting new partnerships after spending a decade in corporate America. I feel fear that I will not find an opportunity quickly enough. I feel terror that I will end up in a job environment like before that I hate in order to pay the bills. I feel a strong desire to attend an upcoming Workshop or a consulting session would be best for my situation. I wonder if you have any thoughts on what format would yield the best results for my situation. Thank you for sharing your process - and for checking up on me. As I write this, I notice my fingers still move pretty well. You might consider taking your feelings about <the economy> and <your career> to your Essential Tribe (family) as entry points. Is there a large “expat” trader community there [in Puerto Rico] with the tax incentives? I wonder whether it would be worth it to investigate for my family. You might also consider taking your family there for a couple weeks "vacation" to see how it fits you; relocation to Latin Culture may incur substantial culture shock. You might also consider taking your feelings about <quality of life> and <lower taxes> to Tribe as entry points. I live in [City, Country] where, actually, there is not a Tribe. So I may write my feelings here, I feel indifferent about having a career because it's a key that let me work in my 'wanting job' and a process of self-education. I feel now less doubtful when I share my feelings and while I'm deciding. You might consider also sharing it with your family, friends and associates - to enroll them in the process of discovering your right livelihood. Is there a positive intention of procrastination? There must be some reason I misplace my card rather pursue the possible system enhancements. Procrastination can have the positive intention of getting you to put off doing something until you see the folly in doing it. You might consider taking your feelings about <enhancing your system> to Tribe as entry points. How are things going with you? I hope this letter find you well. Here is my current situation and I am contemplating for few months to plan my next move. So, far Silicon Valley is treating me well, company stocks and my house value are trending up. However, back-to-back company-wide layoff makes me think to find another consistent cash flow stream. I also have no interest to work for another corporation. I've only 14% mortgage of house value which I can pay off today, but my trading account is not big enough to produce my monthly expenses. Any thoughts? You might consider taking your feelings about <debt-free living> and <trading with assets you don't have to use for anything else> to Tribe as entry points. I notice that the books I order from you ship from PR. Do you live there part time/full time now? Thank you for keeping up the website and the FAQ. There’s a lot of material there I am working through. I am learning a lot. The "Ship From" indication on your package has something to do with my location, more to do with a check box on the USPS site. Are you familiar with the concept of non-dualism. You have some people who believe in dualism and some others who believe in non-dualism. The dualists see these guys as occupying two separate groups; the non-dualists see them as occupying the same group. Occasionally, some of the members of these groups stage a duel. The dualists might have an advantage as their swords have two edges. On a relating note, we have physicists arguing about the existence of mono-pole versus bi-pole magnetic fields. It turns out that you can build an actual North-only magnet - that has "North" appearing on all sides and faces - in apparent defiance of Maxwell's equations. The construction method has to do with assembling many small magnets into a sphere or torus, so that all the North ends point outward. This cleverly hides all the South poles inside the structure. Along with the shift in my perspective on wealth I notice other issues surface after my hypnosis session. I feel I glaze over the "I'm not wanted" feeling. I notice my reactions to situations feels unbalanced and off. I sense I either overreact or under react. For example in approaching potential investors i know they are really investing in me not necessarily just my system. I have a deep desire to feel wanted. I feel I may give off a needy vibe and not a confident one. To offset this needy vibe I feel I may give off a too nonchalant aura. I sense I need to address this issue if I want to attract the right investors. I continue to peel back the layers. Thank you for continuing to share your process. You might notice you spell the word "I" with a small letter, thereby making yourself, in one sense, smaller. “All feeling have positive intention” - How old were you when you crystallized and verbalized this idea? Generally speaking, I am interested what were triggers at various phase of life when all these ideas were taking hold on the way you look at everything. Goal: I have three kids 7, 4 and 1 year old. I want them not waste time in life the way I have wasted and I see your general approach to life is good way to bypass some useless events that blocks happy and fulfilled state of mind. Thank you for raising this issue and for sharing your goal. I keep recrystallizing and re-verbalizing my ideas in the ever-evolving moment of now. For example, I might now have "Positive Intentions V258.135" now in process. I gather you feel someone has some important goal for your children and you wish to help them get there faster. 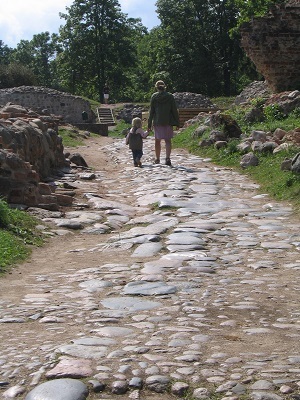 I wonder if you might consider an alternative goal for your children, namely: show them, on an ongoing basis, how to enjoy the process of experiencing the ever-evolving moment of now as it occurs. Thank you very much for all the brilliant work you have done for enrich the lives of other traders. I still have some questions regarding the break out trading system, and what you have said during the market wizard book interview. 1) Do you look for triangle or any kind of reversal patterns for "current chart pattern"? If so, could you please explain? 2) Do you visually inspect for the current chart pattern or use you computer system to inspect current chart pattern? 3) How do you filter out the false break outs? Do you use filters or volatility set ups? 4) Do you look at any momentum indicators? If yes, how do you implement momentum to trading? 5) Do I have to back test and learn or learn and back-test? These questions are very difficult for me to figure out. If you could help me sir, that would be really appreciated. Thank you Thank you for raising these issues - and for point out the problem with asking questions, rather than sharing feelings. 1. I do not understand the question, including "current chart pattern." 3. I do not know how to filter out false break outs - other than by cutting losses after they occur. 4. I do not know the phrase, "momentum to trading." 5. I do not know what you have to do. I could, perhaps, get a clearer picture of your situation if you could share your feelings about it with me. I might guess you wish to deal with your feelings of uncertainty by gathering more and more, and possibly irrelevant, data by asking ambiguous questions. I want to share a recent experience in my process. I make a goal of starting a business to attain independence and financial freedom. As I start making progress towards my goal I feel I have a blockage. Before yesterday the word 'wealthy' makes me feel uncomfortable and irritated. I reach out to the chief of my very first Tribe from 10 years ago. I work with him before using hypnosis and decide working with him again might benefit me moving along in my process. At our session I learn I have an issue receiving. I see how this gets in the way of running a profitable business. He frames my inability to recieve as offensive and rude to the one offering my praise and compliments, I never see this before. He makes connection that deflecting praise instead of receiving it hurts both parties. I make a choice right there to recieve and feel the feelings that come with it. While in a trance state I recall three critical incidents related to my feelings about 'wealthy'. In the first incident I am helping my father get up after he has fallen in the middle of a busy street. As I try to help him up I notice people in business suits walking past with snooty looks. No one offers to help. When this happens I am 5 or 6. My process manager asks me if this feeling is new or something familiar. It feels familiar. He leads me further back in time. I recall another incident. I am 4-6 months old in a crib or someone's arms and I see the face of a uniformed man peering over at me. I feel very uncomfortable. Again he asks if this feeling is new or familiar. I hesitate before answering, wondering how it could feel familiar at 4 months old, but it does. We go back further in time to the final critical incident. I get the sense I am back in the womb. I see the faint light beyond my mothers belly and I hear the sound of muffled voices. Even though I cannot clearly hear or understand what they say I recall the feeling... "I'm not wanted". I start to cry. It hurts that I carry around this feeling for all this time. We then work on building me back up. I do not remember much about this process but once I come out of trance I feel different. I wake up today and notice more changes, I feel at ease. The word wealthy does not bother me any longer. In fact I feel like running towards it. I feel I do not have to change the core person that I am if I have wealth. In fact I can do more good. I like this shift in my perspective. I thank you Ed, yet again. Through your gift of Tribe work you help me again to progress and heal. You might like to notice the two misspellings in your contribution have to do with receiving. You might consider taking your feelings about <receiving> to Tribe. Thank you for your detailed response to my FAQ submission (April 21, 2017). A few days after your FAQ response to me, I open my mailbox and see the envelope addressed to me in my own handwriting. Curiously, I notice an utter lack of any perceptual emotion upon seeing the lone piece of mail in the box. As I walk up the driveway, I wonder if I somehow I arranged the entire episode of the delayed card and my subsequent email to you in response to the delay as a way of experiencing the feeling of embarrassment. I ponder how it is even possible that I might have arranged this experience since I have no idea the address to which I send my request is not current. Perhaps I did nothing to arrange these events but I simply was ready to experience “embarrassment” and used what was available to me to create the feeling of “embarrassment”? I open the envelope, still experiencing no noticeable emotion, and upon seeing the contents I smile as a feeling of a comforting warmth spreads throughout my body as I notice the card and its companion—I had forgotten about this second item—thank you! Almost instantly upon placing the replacement Essentials card in my wallet, I feel a tingling sensation emanate from my lower spine and spread like a wave throughout my back and neck and then to my lower skull, like tens of thousands of atoms vibrating violently, but briefly, just underneath my skin; I realize where I can find my original card! I “misplace” my card just after this excitement and I do not implement the new ideas nor do I give these enhancements any thought while my card is missing. As I suspect, I find the original card in my car. As I type this email to you now, I experience the tingling feeling (as described above) again as I wonder if I intentionally misplaced my card. Could I have a pending agreement, of which I am unaware, with myself? I wonder how I might experience the emotion of “procrastination” so that I can get on with enhancing my trading system. I'm studying veterinary and in twelve days I start exams, I feel doubtful because I want to continue the trading system while I get a job to save money until I can afford trading. This seems incompatible to me, I see my career as a rock more than a path and I want a path. You might consider taking your feelings about <having a career> to Tribe as an entry point. I'd like you to mentor me. I can mentor you for free, on this site. For private consulting, see terms at ground rules, above. For starters, you might consider mentoring someone else, and reporting back to FAQ on the experience. For many years, I feel that the psychological aspects of trading are less important. Now, as I manage money for several years with my own systems, I feel that the psychological aspects are crucial. I feel vexed in managing large winning trades and open equity giveback. I wonder if you will include me as your plans coalesce for a workshop. Thank you for sharing your interest in attending a Workshop. Watch FAQ for further information. I am the co-author of the upcoming book [on Trading]. I have been reading about you since many years. Your trading approach and lessons have influenced my trading in a big manner. It would be wonderful if I can contact you for research for the above book. I need 20 minutes. I am on the Publisher’s deadline and would need to set something up within the next 15 days. If you are open to this, please reply and I will call you back to set up the interview. Please find attached my media kit where you can review more information. Thank you for reaching out to me about an interview. I imagine that your twenty-minute interview might consist of you asking me some questions you already have in mind. Thus, the interview would reflect your attempt to fit my story into your template - and would say more about you than about me. I grant interviews only to a few people with whom I have a collaborative, mutual, long-term self-discovery form of relationship. If you wish to include me in your book with some measure of authority, you might talk about the "big manner" in which some of the ideas on my site influence your approaches to trading and to life in general. You might also consider reading Mike Covel's latest edition of Trend Following, 2017, in which I briefly appear, for information on the topic of trading and also for inspiration on how to create a successful interview business. I had no idea this was a personal conversation. Or that bad grammar was frowned upon. Seems like you are highly self esteemed human. Looking down on those that come from lower societies. Thanks for your honesty. I do not generally take offense at issues people raise - even when they project their situations onto me. I generally consider the organizing principles behind contributor questions and make suggestions about issues they might take to Tribe. For example, feelings and notions about belonging to a non-deserving social class might interfere with buying into the best markets. You might consider taking your feelings about <looking up> and <looking down> to Tribe. Thanks for your reply as to my VNS Question. I am, for now, perplexed as to why you instructed "Find the Strong Stuff" while only providing the VNS Math. I suppose we all need someone to take the other side of the trade. Thank you for continuing this thread. A trading system generally includes some method of instrument selection and also some methods for position entry, exit and sizing. In the case of long-only trading, you have to "find the strong stuff." Many simple trend-tracking systems combine market selection with trade timing, since they automatically buy in to markets that start to demonstrate strength. If you wish to separate these functions, say by using a volatility-normal strength (VNS) ranking of all stocks to generate a list of candidates, you still have to interface your VNS screener with methods for timing and sizing. Am I supposed to ask questions that way? FAQ does not tell people what to do or how to do it. You might notice that on FAQ, and in life in general, intentions = results. I don't think the [Chartbook] site updated. Thank you for the heads-up and for acknowledging me and the work. I attribute the interruption to (1) MS Windows 10 Update that occasionally takes control of the system and interferes with the daily Chartbook generation and delivery process and (2) some of my own recent code "improvements." I can have a talk with the Webmaster (me) and have him ask the resident programmer (me) to get on it right away. I trust you find the site worth every penny you pay for it. I notice there is some demand for a Trading Tribe Workshop. I wonder if you might consider holding a workshop in Europe. I wonder if there are other people that might be interested in attending a workshop in Europe. I have fond memories of hosting a Workshop in Cambridge, England. I can host a Workshop in Europe, or wherever, if I have a "critical mass" of participants, say over 15 people. other than consistency, is there more value that an entry can add to an edge? Your email does not contain a salutation, such as "Dear Ed," or even "Hi!" Your sentence starts with a small letter and has a rather obscure meaning. All in all it seems a rather cavalier, careless and disrespectful. These character traits rarely play well in the markets, or, for that matter, in life in general. You might consider taking your feelings about <good manners>, <using proper grammar> and <dealing with authority> to Tribe as entry points.